Tbetta made his way down to the second pre-season Derby last night, mostly to relay an fantasy report for DT TALK, but also partly just to see Naitanui back stalking his prey once again! Without a telecast or live stats, jump in and see how the players on your Watchlist performed. Hey guys, Tbetta here. 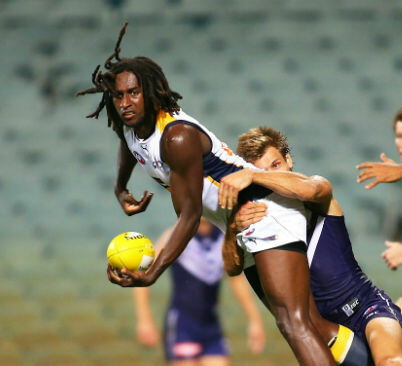 I made my way down to the second pre-season Derby last night, mostly to relay an AFL Fantasy report for the site, but also partly just to see Naitanui back stalking his prey once again. Seeing as there was no telecast or live stats, this will be a longer summary – hopefully I can hit most of the talking points for ya. The Eagles came out victorious in this high-intensity affair, outscoring the Dockers 13.6 (86) to 9.13 (67). Both sides were close to having their Best 22’s out on the park, with Scott Selwood and Xavier Ellis (both rested, along with Mark Hutchings) the only obvious absentees for the Eagles and Nat Fyfe and Hayden Ballantyne sitting it out for Fremantle with a couple of niggles. All things considered, it was a reasonably accurate indication as to each clubs’ strongest squads and will be similar to the units they send out in Round 1. Colin Sylvia was a noticeable exclusion with continuing concerns as to whether his fitness is up to AFL standard, while Beau Waters remains on the sidelines with a shoulder issue. Naitanui started with a green vest for the Eagles, which was surprising – I expected him to play the first 50% rather than the second. Brant Colledge joined him. Jack Darling started in the Forward 50, while Mark LeCras kicked things off in the guts in the absence of Selwood. Hurn surprised me by starting on a wing, while Gaff lined up at the first bounce on a half-forward flank – something that I’ve never seen before. Shuey was Ryan Crowley’s target from the first bounce, which is something we’ve seen for the past couple of years in the Derbies. The remaining Dockers set up as you’d expect based on last season’s Premiership tilt; Pavlich played as a stay-at-home forward while Lachie Neale started in the guts without Fyfe in the mix. Sandilands and Cox duked it out at the first bounce, and it’s only when you see them next to each other in real life that you realise just how monstrous Sandi is. Michael Barlow ($571,500 MID) was easily the BOG for mine, despite the loss. He had the ball on a leash all night, capping off his busy night with a few grabs up forward and an important goal early. One thing you don’t notice about Barlow on TV is his running ability – he barely stopped moving all night. He also had a bit mongrel about him, being one of the main culprits in a scuffle that almost boiled over in the 2nd quarter when the Dockers lost the plot with Dom Sheed – he got stuck right into him at the stoppages for the rest of the half. A very safe midfield selection if you go that route. Aaron Sandilands ($270,800 RUC) wasn’t far behind in terms of influence, rucking ll night with only brief spells against the rolling Cox/Nicnat/Lycett/Sinclair maul. You can see why he’s such an important player for the Dockers – he provides a bail-out target whenever their smooth ball movement falters, and he restricts that option for the Eagles when he just sits a kick behind the play and waits to snaffle up any hopeful kick that drops the ball on his head. To West Coast’s credit they did very well to nullify him up forward, but you can very easily see teams struggling to contain this massive unit regularly. Absolute lock if there ever was one. Matthew Pavlich ($408,500 FWD) had a dirty night, no two ways about it. He was sitting in the negatives for a fair chunk of his night, and was almost statless at quarter time. A 2nd quarter crumbing goal saved his night from being a complete disaster, but in fairness, he didn’t seem too stressed about the whole thing. Well, apart from decking Dom Sheed cheaply behind play – but even then, he was making a statement from his team. I’m not sure how indicative this game is of his future value – he was subbed out at half time – but I’m not sure I can pick him, underpriced or not, after seeing that performance with unshielded eyes. Sonny Walters ($448,200 FWD) looked awesome in patches, but went missing for long periods of the game. That billed ‘midfield time’ wasn’t there at all, although Freo’s structure dictated flooding when the Eagles trapped it in their Forward 50, so he still got plenty of km’s in his legs and would have snuck a few possessions in up on the wing. I guess the biggest headline for Walters on an off night was that he was reported for high contact on Brant Colledge late in the game – obviously there was no replay at the game, so it’s hard to comment on whether he’ll miss Round 1 or not… Stay tuned. Lachie Neale ($421,200 MID) was one of the Dockers best, very clever with the pill in hand as the Dockers famously ran in waves. He copped a massive (though fair) hit from Hurn in the 3rd term, but to his credit, shook it off and kept playing although clearly groggy. At his price, he’ll be a better pick as a sneaky midfield acquisition in Draft leagues rather than in salary cap versions of fantasy. Tendai Mzungu was busy all night, as was David Mundy, who was very under the radar and I probably would have missed a lot of his touches if I wasn’t paying attention. Paul Duffield (41) and Tom Sheridan (11) looked like twins at times, very similar looking dudes with similar numbers playing an identical role – sweeping up across half back. Both were in the Dockers’ better players. Dean Cox ($530,100 RUC) played a more forward-centric role last night, mainly because West Coast stacked their team with 4 ruckmen. He looked very trim and, as usual, he could pass for a midfielder at a glance – until you realise that he’s 6’8”. The more I see of him, the more I’m convinced that he’s still a very legitimate Dream Team option, particularly if Naitanui were to miss time or be managed through games. Nic Naitanui ($423,100 RUC) was subbed on towards the end of the 2nd quarter, having an instant impact, earning a shot on goal less than a minute after entering the arena to applause. To the eye, he looked like a picture of health, and you wouldn’t know he had groin issues by the way he played – plenty of pressure acts, a couple of high-flying marks and a couple of holding-the-ball calls went his way. In saying that, I wouldn’t touch him in fantasy this year. The Eagles held him back from ruck duties, pretty much using him as the resting ruckman forward or as a tall rover in ball-up situations. This tells me that he’ll be managed early, regardless how his body feels. Chris Masten ($537,600 MID) was busy in the first quarter, but was barely sighted thereafter. Priced at 97, he’s been on the watchlist for me this pre-season, particularly after 113 DT/100min over two NAB Challenge outings. Not sure what to make of this, expect to point that it was a low-possession game by the Eagles all round, preferring to move it forward fast and long rather than chip it around like the Dockers. I’d love to see his TOG stats. Dom Sheed ($162,800 MID) started slowly with a couple of fumbles and unforced errors, which sadly had been characteristic of his pre-season up until that point. 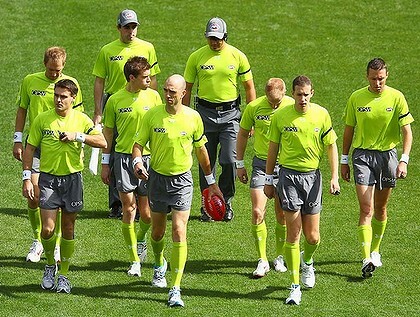 A 2nd-quarter scuffle turned into a brawl, and interestingly he came out of this looking the goods! 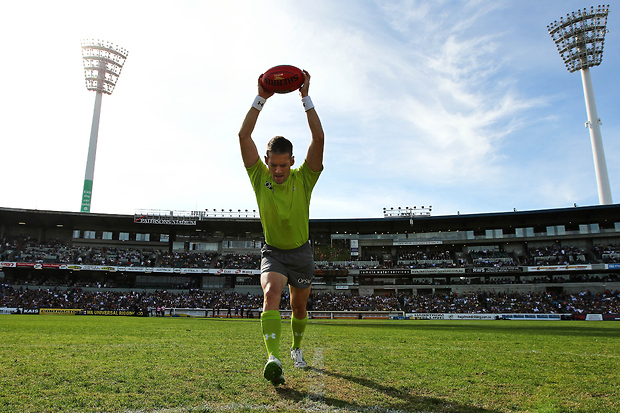 It was easily his best quarter of footy, even breaking a few lines here and there. He floated in and out of the game in the 2nd half, but capped off a solid game with a 3 bounce run from 60m out, before jailing it from deep in the pocket on the wrong side for a lefty. Despite the encouraging performance, he still doesn’t make the best 20 for the Eagles for mine, and would be extremely likely to earn a vest in the event that he is picked for Round 1. Adam Simpson said after the game that “Sheed keeps getting better as the game goes on, but it’s obvious he still has plenty of development ahead of him”, and this seems to support Sheed getting a vest or an East Perth jumper in Round 1. Jack Darling ($377,400 FWD) failed to either cross his name off the watchlist, or secure his spot in my team. He attended nowhere near the amount of ball-ups that he did over the NAB Challenge, but he didn’t play as your standard third tall either. I’d say his time was split 80-20 between forward-line duties and midfield bursts, which is probably the most we can realistically expect from him this year. He had a very influential game regardless, laying 7 or 8 tackles amongst barrage of forward pressure acts, kicked a goal, and linked up a bit as well. As I said, he failed to convince me either way, and I’ll have a hard choice to make in the next week. Mark LeCras ($462,100 FWD) was back to his best, something we haven’t seen since 2011. He split his time 30-70 between forward and midfield, pretty much swapping with Darling through the guts all night. He was close to the Eagles best, with Kennedy’s 5 goal effort probably edging ahead of him. Despite a down season last year, he actually averaged 84.6 DT from 15 games – he’ll cost you if you want him, but he looked very switched on last night and could be worth the smokey selection. Elliot Yeo ($317,100 DEF) was prolific in the first quarter particularly, utilised as the line-breaking ball-user out of defence and with the switch (think Birchall) with X-man Ellis rested and Hurn roaming on a wing early. The Dockers shut that down quickly however, which forced Hurn to return to defence which went on to prove that you can’t shut them both down. He’s not a DTer for mine, he played too tight defensively to be a consistent scorer. He’ll have his big games, but he’ll pump out a few sub-50’s along the way too. Andrew Gaff ($381,600 MID) was a mark-kick combo machine, and he would have registered 9 or 10 +6’s over the course of the night I reckon. He was allowed to run free while Shuey dealt with the Crowley tag, but he’ll have his share of days with unwanted attention over the course of the season. He’s a sneaky midprice option, but probably has too many question marks with the tag to justify his selection. The Jamie Bennell backline experiment continued, without a heap of success – cross him off the list, if his lacklustre scoring hadn’t already. Cripps, Wellingham, Priddis were all very busy, while Colledge didn’t get much of a go of it after sitting out most of the game in green. Sinclair probably outplayed Lycett, and the Eagles have the list space to upgrade him off the rookie list if they want him to back up Cox and/or Naitanui early in the season. There you have it folks. Hopefully I’ve covered the lot above, but if not, hit me up in the comments below and I’ll try and sort you out. If you want the blow-by-blow account check out my Twitter timeline (@Tbetta9) as I tweeted live throughout the match. I’ll leave you with a couple of gems from the Fantasy Freako himself, happy DTing fellas! Only 9 #AFLFantasy points for Pavlich from 59 minutes game time. Sheed finished with 62 points from 18 disposals. @pearcey47 17 disposals and 72 points for Masten. Thanks for the write up and article tbetta. How did Shuey perform? Obviously he got the Crowley tag, but that was all you mentioned. He did about as well as you can expect against Crowley. Had to run forward a lot to try and expose Crowley, who’s still a great defender when he needs to be. Earned a couple of characteristic high tackles in the 50, but would have only had 10-12 touches for the night. Cheers Tbetta, brilliant mate, exactly what we needed! I spent a bit of time trying to find match stats for the game (and others like this) but couldn’t, do you know where I could? Also, I’ve had LeCras and Masten locked in there for over a month now, Cox recently joined them and JJK has been sneaking in and out of the team recently, you recon JJK will be a consistent scorer like last year? Or do you recon too inconsistent cos Id actually wouldnt mind him in the side! Champion Data are the only ones who have that data – they still cover all the pre-season practice matches. Fantasy Freako’s rave will be the only source of free stats that I know of, so stay tuned for that next week. JJK is an interesting pick – probably priced about right at 85ish. I reckon he’ll be up around that mark again this year, but he’s not strictly a ‘value’ pick, nor is he a must-have Premium. Nice work TBetta. Pav was on the fringe for me, but after last night he’s out. Something’s not right there. Great work, had my eye on Masten/Gaff am thinking with atleast the first game to lock these guys in on a big ground should do good. I think he still looms as a decent option given his work rate and versatility but I suspect there will be some stinker scores from him this year as well. At least he can rack up tackles and nail sausage rolls which will help his scores. What’s the Tom Mitchell news? thoughts on upgrading Pav to LeCras? LeCras is another in that awkward price range – not exactly value selection, but not definitely a top 8 forward either. The more get turned off by Pav and Walters, the better! anybody keen on tonight practice match north v geelong log on to nmfc and get live stream 1 off go kangas..
when on site click news then audio ..
How did Chris Mayne look? Pretty average to be honest. Not sure what his pre-season’s been like, but I barely saw him (maybe his TOG was stunted?). Where does Freako get these stats? To be fair Eaglehawk, the ammunition provided by plonkers like you, is just too hard to resist. Legend in your own lunchbox maybe. Nothing more. EagleHawk, in case you weren’t aware, Icame7thlastyear comes out with these little outbursts, granted sometimes they are unwarranted, sometimes they are actually amusing. You are correct that he can also be a little mean at times, but to be fair, some of the comments on here can really bait a smart-arse response. Scroll up and read Gunner6288’s question about Tom Mitchell. Seriously, it’s as if there aren’t other articles on this very site that answer that question! Champion Data, who he works for. What are your thoughts on picking Masten still? And perhaps even Hutchings as a smokey? I’d leave Hutchings based on the Dalzeill effect – can be forced out of the team at any time, particularly when we already have a plodder (Priddis) already. Sneaky scorer though, guy can tackle. Masten I’m unsure of. He had an ordinary night, with slightly shorter games than normal, and still managed 72 points. That’s a great sign. Other games are only being covered when we have a writer at the actual game – Dunny for the Port game is a lock, not sure about the others. How’d Masten look in the second half? Salad was fresh, didn’t get much of the footy though.